It’s graduation time for me and my fellow students at the Institute of Integrative Nutrition! An amazing year comes to an end and I’ve gained so much more than just more knowledge about nutrition 🙂 Want to find out what a Holistic Health Coach really does and what my main learnings were during that year? Check out this vlog and please reach out to me if you have any questions! All toddler mums know how hard it is sometimes to make sure that your young and old beloved ones as well as yourself get three healthy meals a day. In between sniffles, theething, working or like in my case studying, constantly alternating culinary preferences and tidying up the mess of a little tornado several times a day, moments of inspiration come often too short, while standards are rising to ensure good health through good food to our little darlings! What I have experienced since I’ve become a mum is that time has gotten more precious than ever. 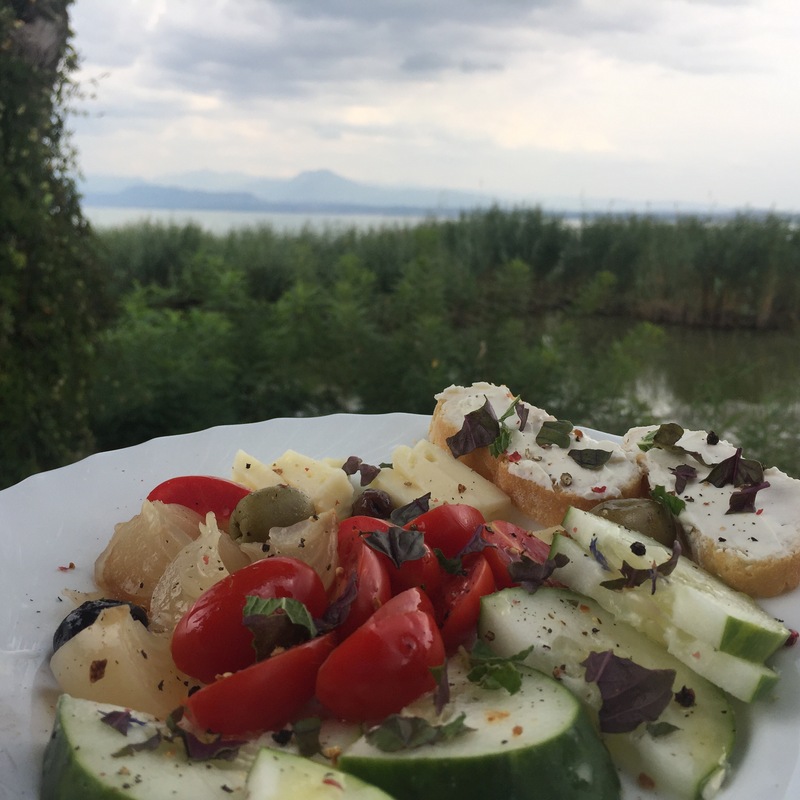 I am simply neither able nor willing anymore to spend hours and hours in the kitchen like I used to do back in the days in my childless free time evenings with wine, music and often friends. Nowadays, when Zoe is in bed, evenings are sacred time for talking to my hubby, resting and recharging batteries thus nowadays our meals got simpler and less time consuming. What has never changed though is my deep belief into the quality of food, even more so since I started studying to become a Holistic Health Coach for Integrative Nutrition. The saying “You are what you eat” is definitely true, and what we don’t want, neither for us nor our children, are nasty pesticides, herbicides, toxins, preservatives or additives in our bodies. And no, EU regulations about allowed pesticide levels are sadly not protecting you enough (read the recent article One in every five vegetables contains illegal amounts of pesticide if you haven’t done so yet). Next to clean air, water, cosmetics and cleaning products, food is one of the biggest sources of what our bodies absorb, so we better be aware and take good care of what we put on and inside ourselves. She has no clue how happy it makes me to see her eating green stuff! But now, let’s have a look into Zoe’s box, which contains a lovely range of many of the yummy and gorgeous products which have become dear to us over the last months and a little inspiration what to cook with them. Don’t you just love surrounding yourself with things which are good for you? Vegetables, like delicious, creamy avocados, sweet carrots, fennel, peppers, tomatoes, potatoes, aubergines, jerusalem artichokes, chard, brussel sprouts, leek, pumpkin and more. The saying “Eat a rainbow” is particularly true when it comes to vegetables. The more colours you incorporate on a regular basis, the more variety of vitamins you can ensure you receive. Zoe just loves digging into a soft avocado, often mixed into a nice salad with juicy tomatoes and a tangy dressing of freshly squeezed lemon juice and olive oil. Another great staple dish is a simple veggie gratin e.g. potato with fennel and jerusalem artichokes (but it works with any veg, just play around). Just slice all veg in thin slices, put them in a baking dish with some cream (we usually use a vegan alternative like rice or oat cream), some grassfed butter, nutmeg, herbs of your liking and a hint of Himalayan salt and pepper and then bake it for about 60min. If you like you can add breadcrumbs and/ or organic cheese, nuts or seeds on top for the last 15min. Fresh aubergines make a lovely parmeggiana bake and carrots and/or pumpkin are great additions for one of Zoe’s favorite lentil stews which I’ll describe further down. Legumes, which provide most of Zoe’s protein/ iron intake. If you want to reduce your meat consumption, legumes and beans are great plant based alternatives. Lentil stew with red lentils, cumin and different veggies is one of Zoe’s favorite dishes (you can find our recipe here) or you can make a great warm lentil salad with brown or black lentils, cumin, coriander and roasted carrots or pumpkin. Chickpeas (Farmer’s Deli even has black ones sometimes!) are a great staple for homemade hummus or curries which we like to make with lots of different veg, mustard seeds, turmeric, curry powder and coconut milk. Nope mummy, I am not sharing my avocado with you! So yes, like sceptics say, going organic may be a bit pricier, but in my opinion it’s so worth it. It puts my mind at rest to get the best quality with highest levels of nutrients without all the toxic nasties, it supports sustainable and nature friendly farming, and on top of that it never gets boring as constantly changing seasonal produce excites culinary creativity and makes me try new things. P. S. If you feel like you need some support improving your own or your family’s life to a healthier lifestyle, feel free to get in touch for a first free Health History consultation! Zoe eating one of her favorite dishes, barley pilaf with butternut & some homemade pesto. Becoming a mum and feeding my little daughter really changed my relationship with cooking and food. Healthy eating has been important to me for many years but cooking for a toddler is a different story. 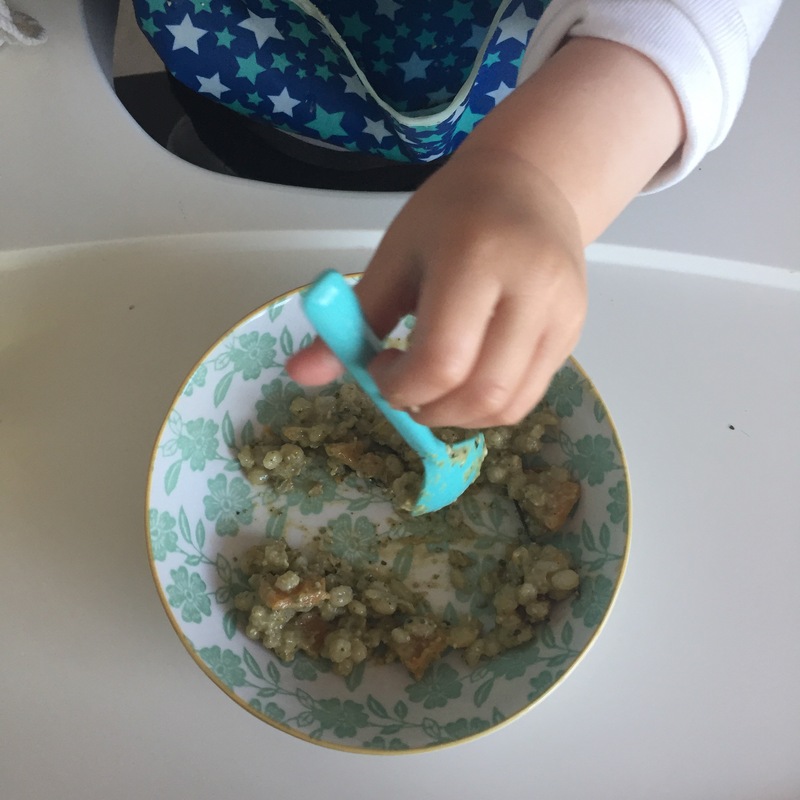 Feeding a 1,5 year old can sometimes be very frustrating, especially if you make the best, clean and healthy ingredients as well as cooking up a nice meal a point. It can be very depressing if you spend lots of love and thought into nice meals and they don’t like it or just don’t feel like eating because of whatever reason. Especially evenings can be challenging sometimes. ✔️Keep cool, mindful and don’t stress out. Having a mess, lots of leftovers and no more enthusiasm for the rest of the evening is ok. Bring her to bed (she won’t starve!) and then enjoy a big glass of wine and your favorite TV series. With all this in mind I wish you a pleasant and relaxed eve! By now our mouse call us Mama, Papa, says Brumm Brumm, toddles around the living room (still holding on cupboards, sofas and chairs, she’s a careful one! ), leaves a trail of mess where ever she goes, gives kisses, loves her softies with a passion and loves reading one of her many books on her blue sofa. She’s super chilled, sometimes a bit clingy, but always smiley and happy and she sleeps like a pro (there’s no day where I’m not grateful that I went through that sleep training with Daniela Sleep Coach last September). Desiderata has been hanging in our bathroom door for many years.. it’s still my inspiration, especially when I feel things are getting too much..
Life has changed tremendously by becoming a mum and so have I… I’ve never been so content and grateful but sometimes also exhausted and overwhelmed. Being a mum put my life upside down and living in another country away from our families doesn’t make it easier. But I love it and wouldn’t change it for a thing, even if it sometimes means putting my own plans, ambitions and goals on a lower priority. Simply because I am not able to do everything at the same time anymore. My multi tasking skills seem to have disappeared when I gave birth and I slowly surrender to the fact that they might not come back anymore 😉 My first priority is Zoe and our family, then comes nothing for a while and only then comes my course to become a Holistic Health Coach which I still enjoy doing very much (just finished my second exam last weekend – whoowhoo!). 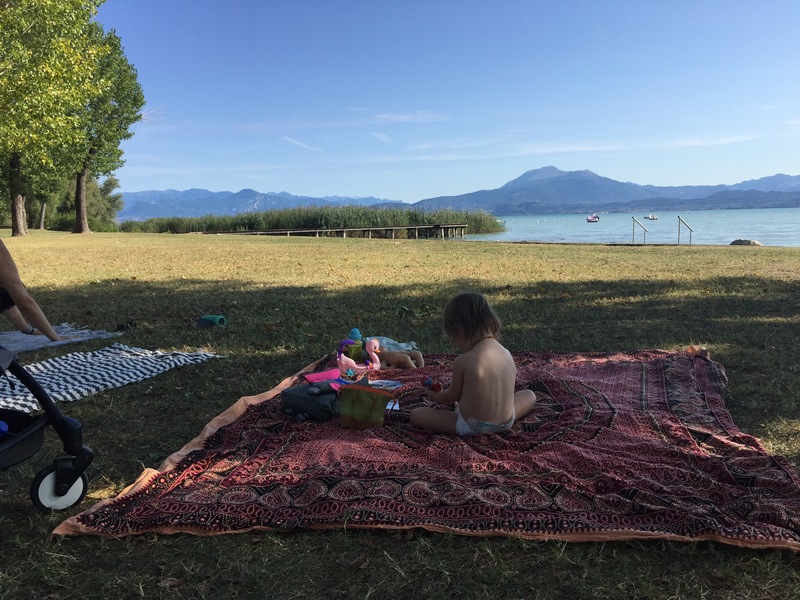 It’s a fine line though sometimes to juggle everything and I often wonder how working mums are coping, or, even more challenging, single mums handle their daily life with a 16 month old toddler who becomes more lively and demanding every day! I honestly have no clue but my deepest respect goes out to all these women as well as the stay at home mums (and dads) like me, cause being with a child all day is often more exhausting than a work day might ever be LOL. One of my 2017 resolutions: Time for more self care & self love this year. Carve out some time in the morning for some yoga home practice. However, priorities shift and so finally do my expectations towards myself. I try to find peace and to let go more often… More surrender and self love, less pressure and comparison are my big resolutions this year. How often did I feel under pressure the last few months when I felt I’m running out of time, I could never keep up, when I didn’t manage to do everything I wanted, didn’t cook all the lovely meals which I’d love to cook, write all the blog posts which I have in my head and start with all the new projects which I have in my head.. but at the end of the day, we only have 24hours a day and when I spend time Zoe I want to be present and enjoy the moment. So, this is the time in my life for her. And there will be a time for other things again, probably sooner than I can now imagine she’ll be in school and I’ll remember these days with nostalgia ❤ So please accept my apologies for not blogging that regularly anymore! But I promise I will still share the occasional recipe and keep you posted with (hopefully) inspiring healthy meals and articles on wellness and health via my Facebook and Instagram 🙂 In the end this, my passion for healthy food, is what inspired me to start my Health Coaching course! But enough for now, here comes another, of course toddler approved favorite recipe for a Lentil Stew. Zoe has been eating it since she was about 9 months and love it just as much as her daddy and I do. Lentils are a great source of plant protein, great for digestion and especially in winter a real comfort food. I usually cook the same dish for all of us and only add salt for us adults in the end. As usually this is a very versatile recipe, instead of red lentils you can also use brown lentils or a nice mix of beans and lentils. Just note that you should soak all other lentils (brown, green) and beans over night as they might cause bloating and gas otherwise. The longer you soak them, the better. It’s also beneficial to add some bay leaf for the same reasons. Also, please note that cooking time is the shortest with red lentils so if you are tight on time, just go for red lentils. You can add all different kinds of veg, but I usually like the potatoes to add some carbs and substance to the stew. Leafy greens like spinach, kale or chard can be added towards the end of the cooking time and if you want to give it even more substance serve it with a batch of nicely roasted potatoes as a topping like I did on the photo. Peel and chop the onions, garlic, potatoes and carrots (or other veg you use). Fry onions and garlic on medium heat in coconut oil and add the chopped vegetables when they get nicely golden. Stir for a bit and then add the lentils (or other pre-soaked legumes) and spices. Pour in the water and some vegetable stock and let it simmer until the lentils get nice and soft. Red lentils take about 30min, other lentils and legumes more. Just let it simmer until it’s all nice and soft, you never want to eat legumes when they are not fully cooked. If you add leafy greens, add them for about 5-10min in the end.